To look up parts in the John Deere parts catalogs just click here or on the Deere logo below. 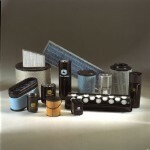 Need filters for your John Deere farm tractor? If you know your part numbers click on the icon below to place your order. To order quality John Deere parts please visit our sister site www.GreenPartStore.com. To order parts for all brands of farm equipment just click on the A&I logo below.